I used to think f we ever made GF anything it would mean the end is near - but no longer - the end is just closer than reasonably comfortable....and it is your, or Lucy's fault as usual. These look delightful. Lycy being a floozy would mix all the grains together and make one kind but I do like your multi roll in the same pan method. being sorry for those poor celiacs, but scorning all those seeming gluten whimps. (The Paleo fad still is my pet peeve). It's not easy to produce good looking and delicious GF breads and you have succeeded! Congratulations! My kids and I used to be big fans of Bobby Flay. On our last trip back to NYC, we dined at his restaurant Bar Americain, mainly hoping to get his autograph! Even though we didn't see him, the food there was awesome. I'm still a big fan of ATK. My son and I went to a book signing event and we got Chris's autograph and up close photographs of him. A visit at Bar Americain is still on my bucket list (I'm very fond of all kinds of cook shows - also the Great British Bake-Off). Cook's Illustrated is my default go-to when I look for recipes, or general kitchen advice. I love their way of explaining their process of optimizing a recipe, and, also, test now and then recipes for them (right now less-sugar recipes). Most of ATK's dishes are flawless, and, in the case of the dinner rolls, most people probably would have been completely satisfied with the original, expecting a kind of blandness from a dinner roll. 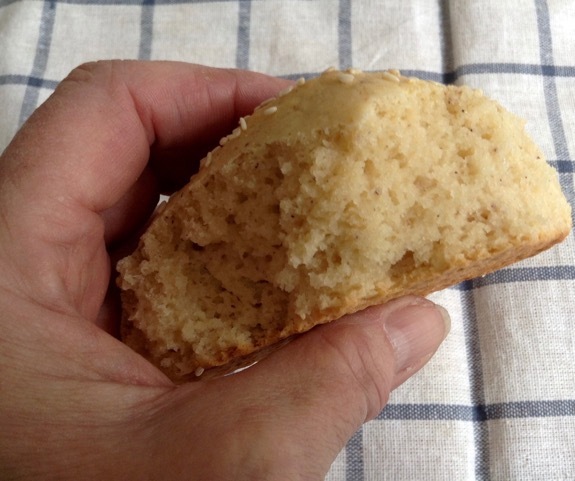 I delved into gluten free baking about a year ago. 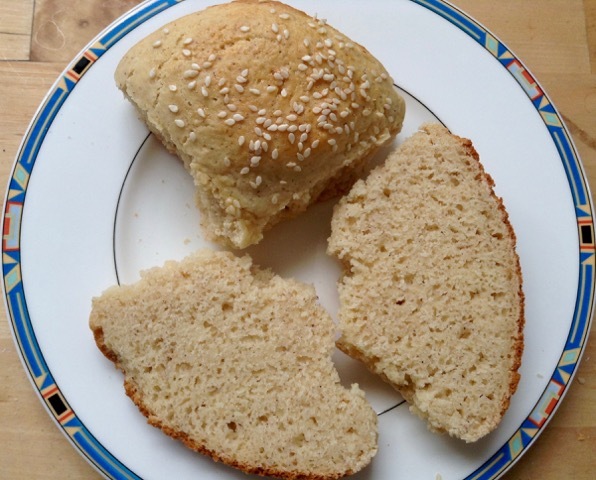 Juergen's GF experiments helped get me started in the right direction due to his use of psyllium seed and sourdough. I will definitely not abandon good ole wheat (having just ordered 5 bags of it). I find it interesting, though, how it is possible to make pretty good bread without gluten for those who really have difficulties digesting it. Even Cook's Illustrated has deadlines to meet. Your post go me to thinking about how special gluten really is. What gluten free bakers are looking for is a replacement for gluten - finding that magic ingredient is the quest. That's really the holy grail! 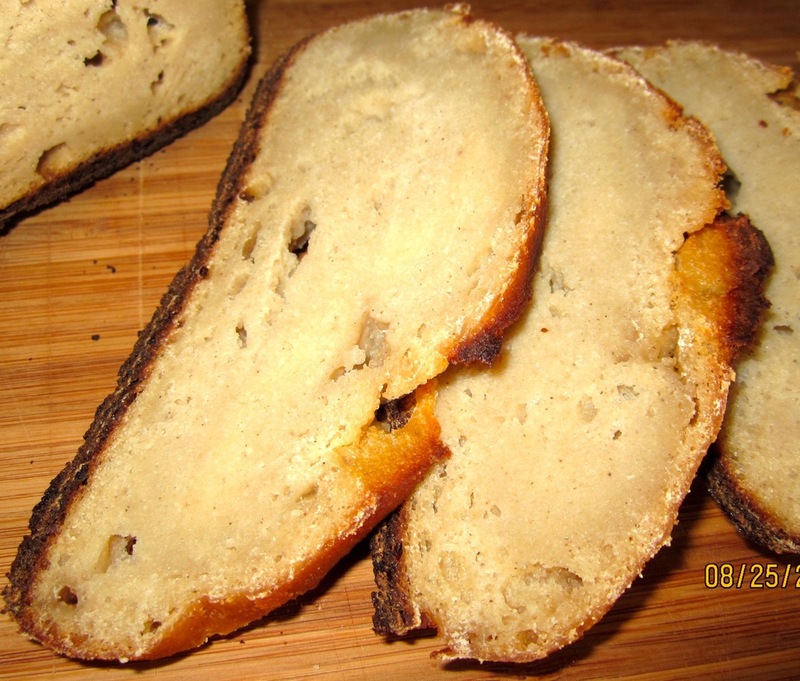 The photo above in my post, showing my first gluten-free bread, actually is a sourdough, Jean Leighton's (gfdoctorrecepies.com) Basic Sourdough, leavened with xanthan gum and guar gum. It tasted good, but, as you can see, the consistency was way off. It would be definitely worth trying to achieve a gluten-free sourdough bread that tastes good and doesn't look like being made of rubber.